Cinderella's Closet - Prom Dress Give-Away! About Cinderella's Closet - Prom Dress Give-Away! Cinderella's Closet is a YWCA Elgin service project of the that offers, free of charge, prom dresses to the population of girls that would otherwise not have the means. The event is also opened up to the general public, where girls can purchase dresses for the low cost of $15. 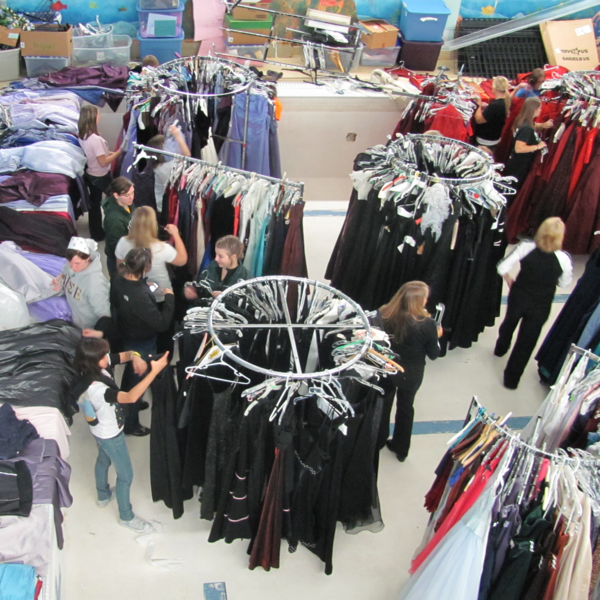 Cinderella's Closet accepts volunteers of all ages, gender and physical ability. Volunteer opportunities include everything from sorting dresses to being a Fairy Godmother at the Cinderella's Closet event.